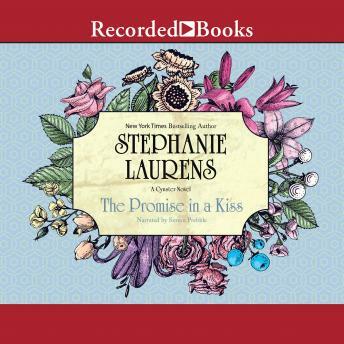 New York Times best-selling author Stephanie Laurens delights her many fans with steamy tales of Regency-era seduction and intrigue. In a quiet moonlit courtyard, Helena encounters a handsome and mysterious Englishman. Before parting, he rewards her with a special kiss-a delicious, enticing, unforgettable kiss that makes her whole body shiver with desire. Helena doesn't yet know that she has met her destiny-and he is Sebastian Cynster, Duke of St. Ives. This luxurious tale of passion features a potent reading by narrator Simon Prebble.